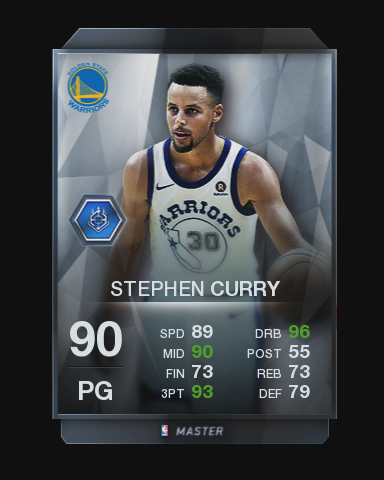 I design and create content for NBA Live 18's Ultimate Team mode. Ultimate Team is a single player mode where players collect NBA Player Items and work their way towards building their ultimate lineup. Players complete challenges and PvP matches to earn rewards and acquire new player items. I work with 2 other producers to produce new content every day of the week. The work is highly self-directed and on a tight deadline, but I love how many new ideas we get to explore and how quickly I get to iterate. So for these challenges, I chose to recreate each NBA Point Guard's playoff career. The challenge description and games each tell a different story like Curry's rise to 2 NBA championships or each team that's stopped Westbrook's chances at a championship. I researched the actual NBA lineups from the playoff series and recreated them as closely as I could with the player base we have to reproduce an authentic experience. The entry requirements ensure players have a varied experience of completing other challenges and have a good collection of players. 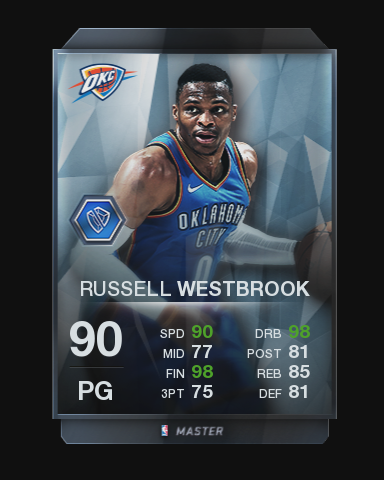 Of course, the rewards feature 90-overall versions of the NBA's most popular point guards, so players love these rewards.